Entrepreneur, inventor and musician Bog Waggoner worked with Cortez Web Services on a redesign of his eCommerce website that addressed some security issues arising from outdated software, as well as a few functionality issues. 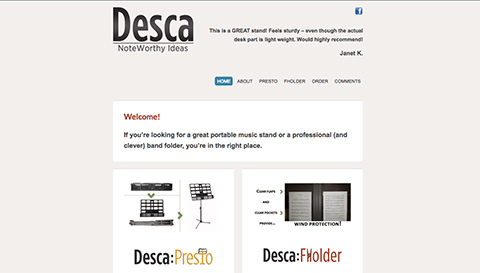 We designed a new website allowing Bob to sell his portable music stands online using WooCommerce. The new site is completely responsive and designed with mobile users in mind. It has some great features like multiple shipping service integration and improved SEO.